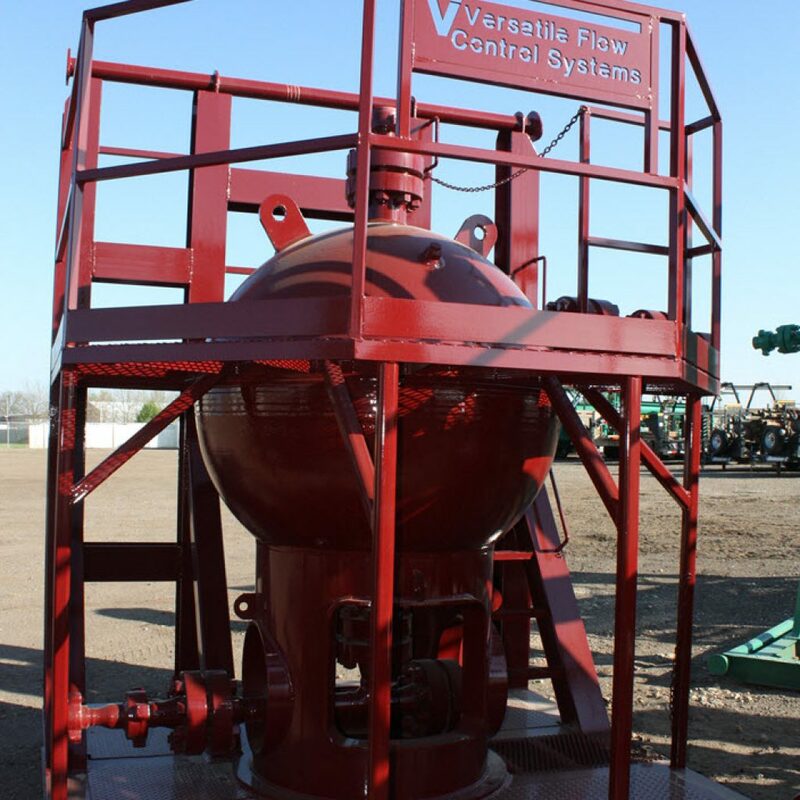 A true innovation in sand separation since the first conventional high pressure vertical sand separator was built over 30 years ago. ASME coded and stamped our spherical sand separators are by far the most efficient sand removal separator in existence. Designed to increases velocity creating a hydro cyclonic action that spins all solid particulates out of the gas or oil stream. We can supply configurations from 7500 psi MAWP down to 3500 psi MAWP in numerous dimensions.